It has been a tough Twitter week for a couple of former UFC champions. BJ Penn has taken some heat for his harsh words for Nick Diaz on the blue-birded network, while Matt Hughes (Pictured left) has come under heavy fire for the controversial hunting pictures he recently posted on his account. 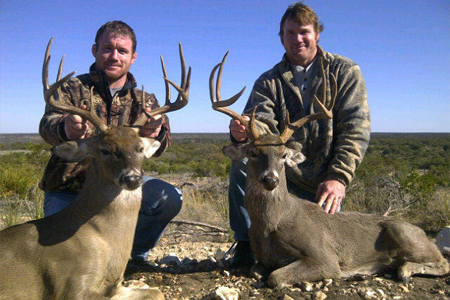 “Mark and me just got done here in Texas! Yes mine is bigger,” Hughes wrote accompanied by the above photo. The former welterweight champ was instantly bombarded with a barrage of unkind comments. Fellow 170-pound fighter Dan Hardy was spearheading the charge. 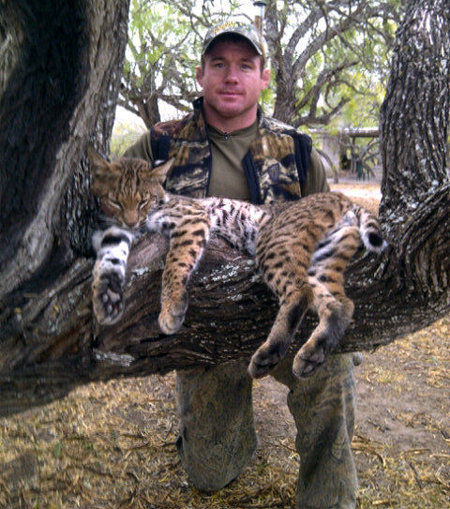 “Look at what I killed,” Hardy wrote in response to Hughes’ cat shot. “Aren’t I the man. This is the only thing I have found that cures my impotence. Although Hughes didn’t address “The Outlaw” directly, he did provide a simple solution to those not wanting to witness what he does during his recreational time. The rumor mill immediately started buzzing that a Hughes vs. Hardy shootout should take place. Hughes, however, quickly killed that chatter.